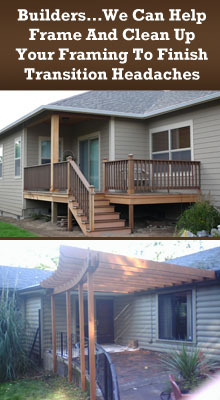 Baker Build & Finish offers general contractor services, general repair, and home maintenance to Yamhill County, OR. We specialize in all your property improvement needs. We serve residential and commercial customers. As a general contractor, we have worked for many people in Yamhill County. Most of our business is return or referral business, but we are always looking at new opportunities and clients. Contact Baker Build & Finish today at 503-407-2900 and ask for Tom.